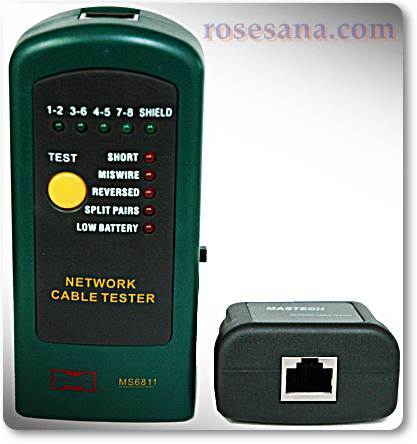 Test device used with UTP ( Un-shield Twisted Pair) and STP ( Shield Twisted Pair) wiring. Check continuity and configuration of wire with unshield and shield module plugs. Tests open circuits shorts, mis-wires, reversals and split pairs. Main unit and one remote allow one to test T568A, T568B,10Base-T, and Token ring. Debug quickly identify which cable pairs have a specific wiring fault.